2014 certainly has been an “interesting” year for G.I. Joe. It was the year of the 50th Anniversary which celebrated more with whimper than with a bang. There was the Toys R Us exclusive 50th Anniversary line, and the Hallmark ornament but otherwise Joe received precious little attention from Hasbro to celebrate his half century of inspiring kids around the world. Even this year’s G.I. Joe convention was a more muted affair with Hasbro not in attendance. Even the Kre-O line seemed to fade this holiday, with Toys R Us slashing prices just before the holidays. However, the year is soon to draw to a close. With that, comes a brand new year with brand new possibilities. After all, the G.I. Joe brand has been nothing if not adaptable in its 50 years on toy shelves. When Joe returns, and I’m certain it will return, it may not be as the Adventure Team, Super Joe, Sgt. Savage, Renegades, Extreme, Sigma 6, or even the celebrated A Real American Hero but that’s the beauty of the brand. It has evolved over time and adapted to play patterns of the children of its time. Thanks for visiting JBL in 2014. We may not be the biggest, most talked about or frequently updated, or flashiest site on the web, but as long as there are fans of G.I. 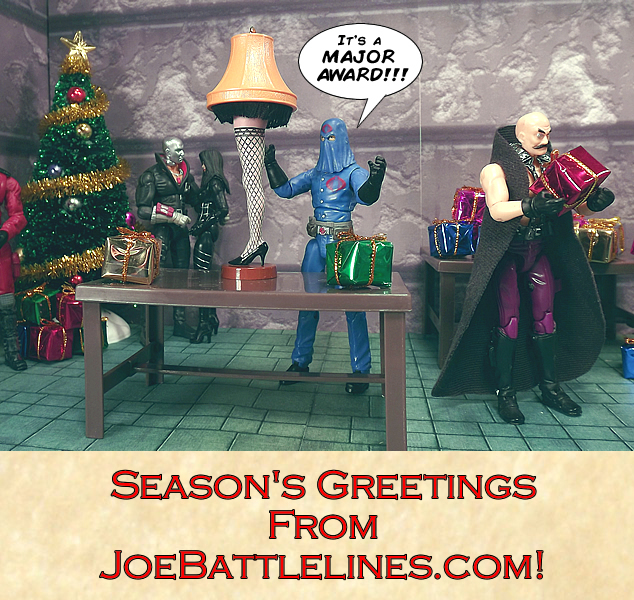 Joe out there, we’ll keep the lights on and the forums open, just in case anyone wants to stop on by, crack open a frosty Yo Joe cola, and talk about G.I Joe– regardless of scale, size or format. Again, thanks for the stopping by and Happy Holidays! Here’s to a brighter 2015! Zimbio Quiz: Which G.I. Joe Character Are You? If you’ve spent any time on a social network lately you’re most likely familiar with the “Which character are you?” Zimbio quiz. These “highly scientific” and “carefully formulated” exercises are designed to give an accurate assessment of the quiz-taker’s personality– helping them to gain true insight into who they really are. Regardless, if you’ve got a few minutes to kill this morning and are curious– check out Zimbio’s “Which G.I. Joe Are You?” quiz and toss up your results over on the JBL Facebook page! This year marks an important milestone in the history of the G.I. 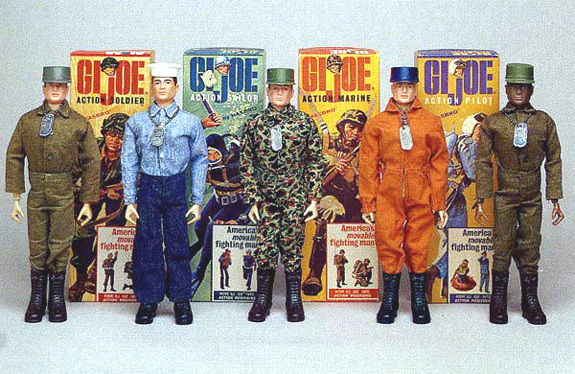 Joe brand– 2014 marks the 50th anniversary of the G.I. Joe brand. For months, the internet has wondered what this milestone year will have in store for the brand that began with “America’s Movable Fighting Man”. This year at the International Toy Fair it seems that the fandom just might get its answer. Hasbro’s annual Entertainment Brand Preview Event will be held on February 15th at the International Toy Fair in New York. At that point, fans will know what, if anything, Hasbro plans to do for the G.I. Joe 50th Anniversary. 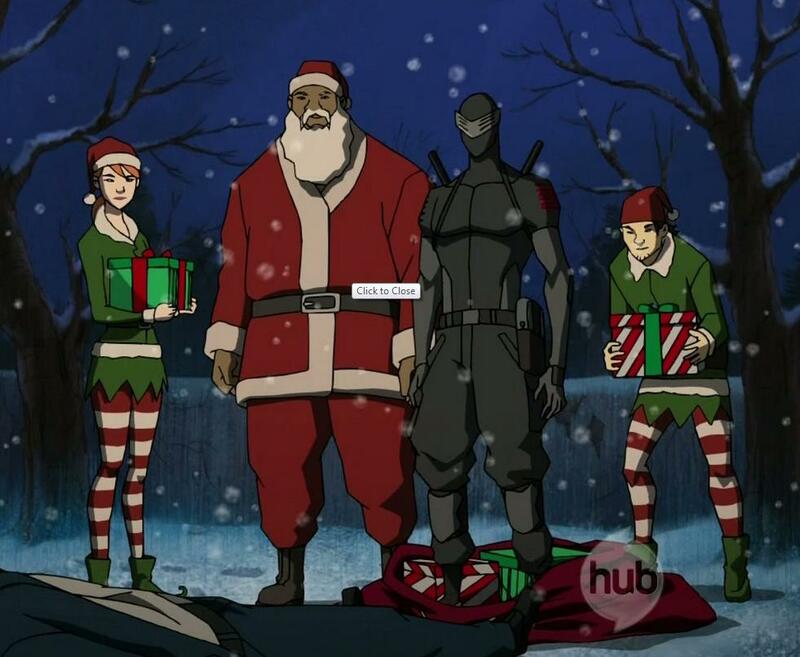 The holidays, however, were not kind to the current movie-themed incarnation of G.I. Joe. Beginning in Q3 2013, product became scarce at retail with the line being dropped from major retailers such as Target and Walmart. 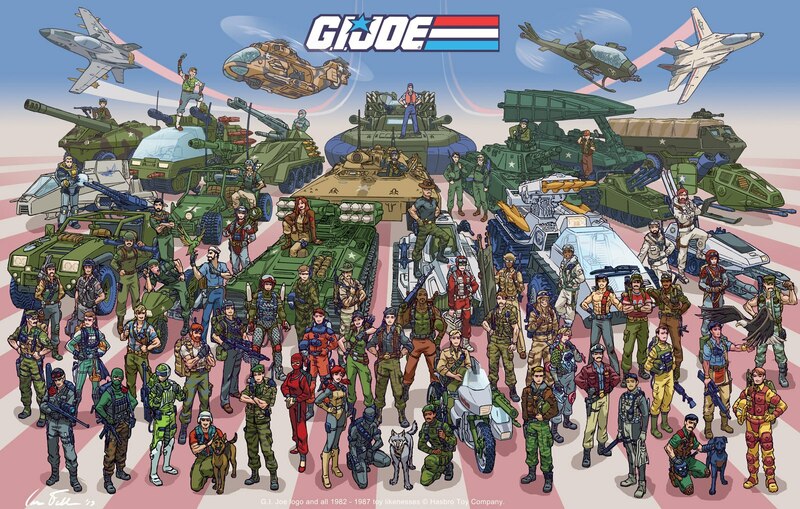 Even former retail giant Kmart ceased carrying new Joes which left Toys R Us as the sole mass market outlet for the product. Restocks became few and far between and the last wave of product became near-impossible to find. The fandom began, quite naturally, to worry that perhaps the future for the 50th didn’t look quite so rosy. Naturally, this sent fans scrambling for answers. Joe fans were crying foul and going so far as to declare that “Hasbro lied to us.” My good friend Justin “General Hawk” Bell penned an excellent piece on The State of the Hobby 2014 in which he encouraged patience in the fandom. No news doesn’t necessarily mean bad news, after all. It just means that nothing has been made official. Always a voice of reason, Justin suggested that fans merely wait and see what, if anything, is revealed by Hasbro at the annual International Toy Fair to be held in New York in a few weeks. This is the first semi-official mention of any sort of announcement from Hasbro that it will acknowledge the brand’s 50th anniversary. Light on details but that is to be expected in the world of brand advertising. However, the fact that the AP is running a story on G.I. Joe is a hopeful sign. It means that there is still interest in the brand outside of the niche fandom that G.I. Joe has found itself enjoying these past few years. So, why all of the conflict? Why all of the back-and-forth and the “will they/won’t they” that seem to have hit the fan community these past few months? Quite honestly, G.I. Joe isn’t the power house brand that is once was—dominating retail shelves in the 80’s in a way that has seldom been seen since in the toy industry. The G.I. Joe Retaliation line, while producing some of the most amazing sculpts and design innovations seen in the 1:18 scale line, was not a break away hit. It was plagued by dubious retailer perceptions after the debacle that was the Rise of Cobra over-merchandising and let’s not forget the 9 month delay due to the 3D conversion of the film. In addition, 2014 isn’t just a banner year for G.I. Joe– it’s the 30th anniversary of another flagship brand from the 80’s: Transformers. Let’s also not forget that Transformers has a brand new film hitting theatres this summer. Additionally, Marvel has multiple movie lines to promote this year– Captain America: Winter Soldier, Amazing Spider-man 2, and Guardians of the Galaxy. In other words, the focus won’t be solely on G.I. Joe. In fact, with the current perceptions of G.I. Joe as a more movie-based line the presence at the event could be limited to an acknowledgement of the milestone fifty years. As I’ve stated before on JBL, this is NOT the anniversary of the “Real American Hero” brand of G.I. 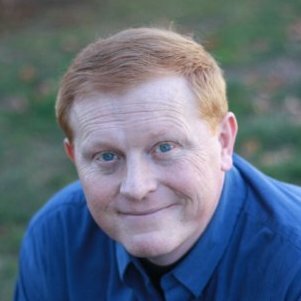 Joe that this site and many others focus on. 2014 marks 50 years since the release of the original 12” G.I. Joe—“America’s Movable Fighting Man”. Rightly so, any product that highlights this anniversary should be themed toward the 12” brand—honoring the innovation and the legacy of those early trail-blazing days when “dolls were for girls.” Hasbro took a bit risk back in 1964 and it paid off spectacularly for the Pawtucket, RI toy manufacturer but it very easily could have gone the other way and G.I. Joe could have gone the way of many other failed merchandising attempts. On February 15, 2014, Hasbro is hosting their annual Entertainment Brand Preview Event as a prelude to Toy Fair in NYC. The annual showcase, which is open to members of the media by invitation, showcases the company’s plans for their key brands in 2014 including Marvel, Star Wars, My Little Pony and Transformers. This year’s invitation also indicated that it will spotlight its G.I. Joe brand. I’ve no doubt that by the evening of the 15th, fans will have SOME idea as to how Hasbro intends to celebrate the anniversary of the debut of the original 12” action a half-century before. The media event is a little over a week away at which point the fandom will have some sort of answer to all of the nervous speculation. JBL will have someone on-site to provide coverage of the event and we’ll be posting the information just as fast as well have it. At that point, we’ll know and G.I. Joe fans are certainly familiar with a quote that pertains to knowing. No matter what—2014 will be a year to remember. Yo Joe!